Any prejudice that may exist against the use of this device (capotasto) with the classical guitar should be dispelled by the knowledge that Giuliani's nickname given to him by a frivolous secret society to which he belonged was Vilax Umo Capodastro. 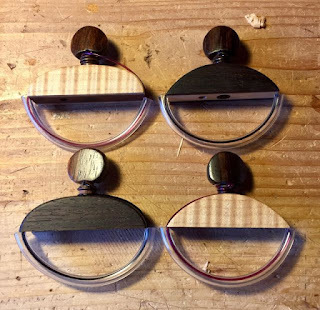 I made eight capos/cejillas for classical or flamenco guitars. 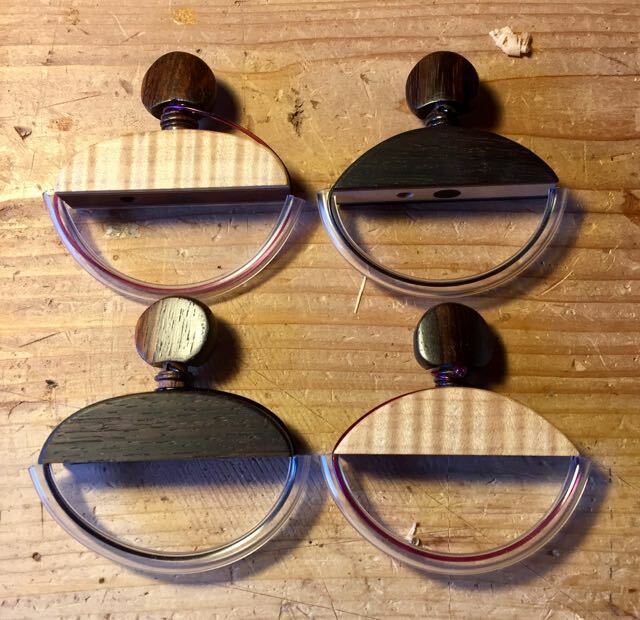 These cejillas/capos are based on a traditional Spanish design that dates from the 18th century. The peg is made from rosewood, the center section of each capo (capodastre) is carved from either hard maple or East Indian rosewood and the sides of the capo are either curly maple or East Indian rosewood. 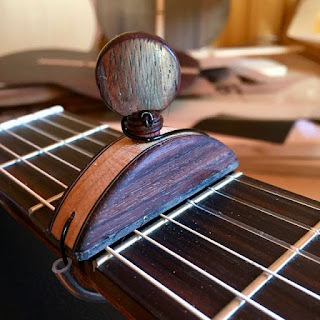 Current capo inventory consists of two with curly maple sides and four with East Indian rosewood sides. 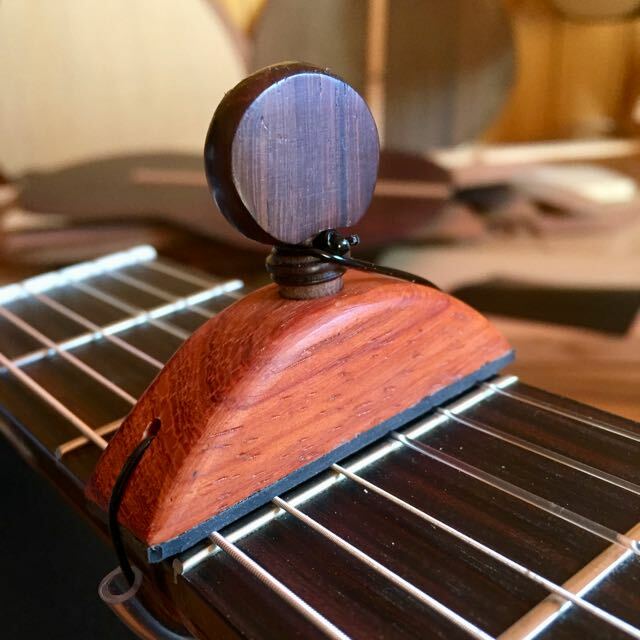 There are two capos made from solid Vermillion, a very gorgeous hard wood from Africa. All pegs are attached to the capo with LaBella brand flamenco "G" string, the faces that go against the guitar strings are covered with neoprene and the peg string is covered with vinyl tubing to protect the guitar neck. The laminated capos are $30 a piece, plus shipping. The vermillion capos are $20 a piece, plus shipping. I will not be making anymore capos until June or July of 2017. 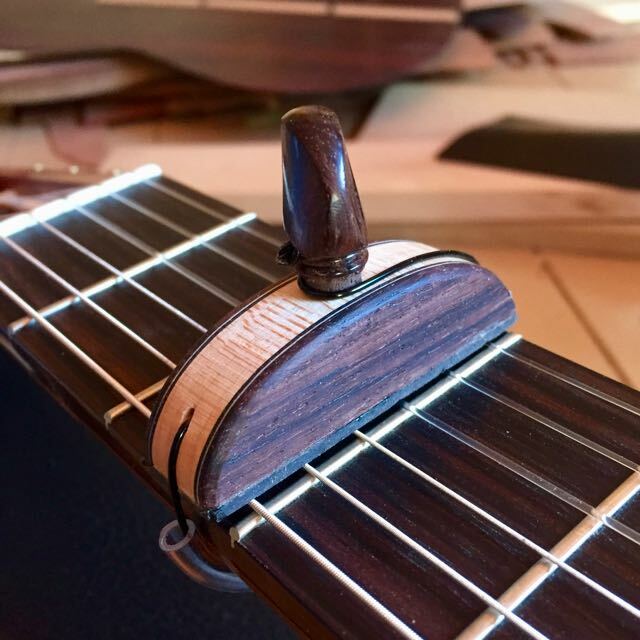 Please contact me at highcountrylutherie@gmail.com if you would like to buy a capo!